All you need to know about Gall Stone Disease…. Gall stone disease is a very common problem, not only in India but affecting people of all strata, race and creed throughout the world. What is gallbladder and what is its function? 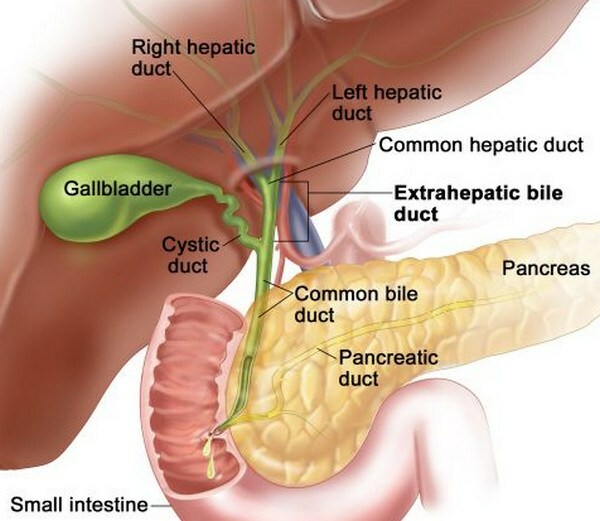 Gall bladder is small pouch sitting below the liver and helps in concentrating the bile juices secreted by the Liver and thus helps indirectly in the digestion process. What is gall stone & how the stone forms in gallbladder? When the inner most layer of the Gall Bladder gets damaged due to various causes like infection and when there is imbalance in the components of bile produce in the liver, stones form in the Gall bladder. How does Gall stones cause problems? Gall Stones as such may not cause problems in all the patients. However in some they might just slip into small tubes called the bile ducts that empty into the intestine for digestion. When they get blocked at different levels, they might cause cholecystitis, jaundice, pancreatitis manifesting as pain in the upper abdomen which might sometimes radiate to the right shoulder or to the back on the right side, fever, jaundice, vomiting etc.. in some they present like gastritis – abdominal bloating, indigestion, burping, intolerance to fatty food.In a lesser percentage of patients a chronic Gall Stone disease might cause cancer. They may even get complicated causing pus collection in the Gall Bladder and Liver, Gangrene of the Gall Bladder and even perforation of the Gall Bladder eventually leading o the sepsis of abdominal cavity. What is the treatment of gallstone or cholecystitis? Gall Bladder removal by Laparoscopic methods is the only recommended treatment. However, the timing of surgery might vary depending upon the severity of the disease, the physical condition of the patient and need for added procedures in case gall stones get complicated. How do you treat acute attack of cholecystitis? Depending upon the severity,, a surgeon makes a subjective decision whether to reat the patient initially with intravenous antibiotics or surgery straight away at initial presentation. What are the surgical treatments available for cholecystitis? Laparoscopic Cholecystectomy (Gall Bladder removal) is the recommended procedure. At times it is difficult to finish the surgery laparoscopicall in 2%-5% of the patients. In these patients a surgeon usually converts the surgery to open procedure in view of safety. This conversion is not predictable on pre operative evaluation and decreases with expertise. 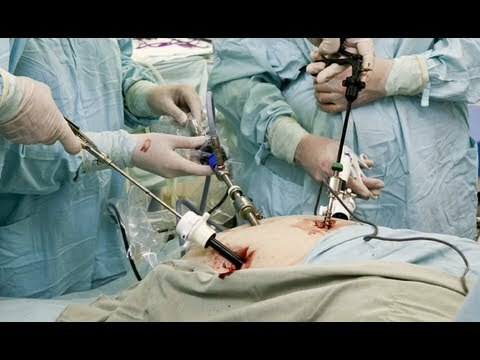 How is the laparoscopic operation done? Laparoscopic surgery is done by making small key holes in the abdominal wall and inserting long stick like instruments after filling carbondioxide into the abdominal cavity. It is done under general anesthesia. All the patients with any of the symptoms as discussed above can undergo surgery irrespective of the age. Once there is an attack of cholecystistis, chances of getting it again increases by 2-7% every year and so is the complication rate. Do you only remove the stones from the gall bladder? Removing only stones is not a solution as they usually reform. Gall Bladder is removed entirely as the disease is in its wall. This eradicates the problem of Gall stones. Some patients have stones in the ductal system which may escape on preoperative evaluation and some of them need another non surgical or surgical procedure in case they develop symptoms. Is there an increased risk of infection? No. In fact infection rates decrease drastically as the size of the wound made in laparoscopic surgery is very less and physiology of the body is least disturbed. This can be discussed in two headings. For patients, there is decreased pain which allows a faster recovery, less pain killing medicines and they will be able to resort to normal life within a short span. These advantages are completely lost in open surgery. For a surgeon, using laparoscopy increases the magnification and the field of vision thus increasing the safety of surgery. However, here is learning curve for doing laparoscopy. Most of the patients are now dealt under day care surgery in our center. That means they get discharged on the same day. We look at lot of criteria for that and decision is made by the surgeon after assessing the patient post operatively. Is every patient fit for laparoscopic cholecystectomy? No not all patients are fit for laparoscopic surgery. There is a small percentage of patients, particulary those suffering from severe asthma or a cardiac disease who are no suitable. All the patients need a thorough clinical examination before surgery. Are there any compliacations or side effects after surgery? Any surgery will have complications. In expert hands like a Surgical Gastroenterologist, complication rates are close to zero (0.002%). There are usually no side effects from surgery. However, a few patients suffer with indigestion problem for a few weeks.